This Plantronics Y-Cord without mute connects two Plantronics H or HW series headsets to a single phone to perform agent training, supervisory, coaching, multi-users on one call. 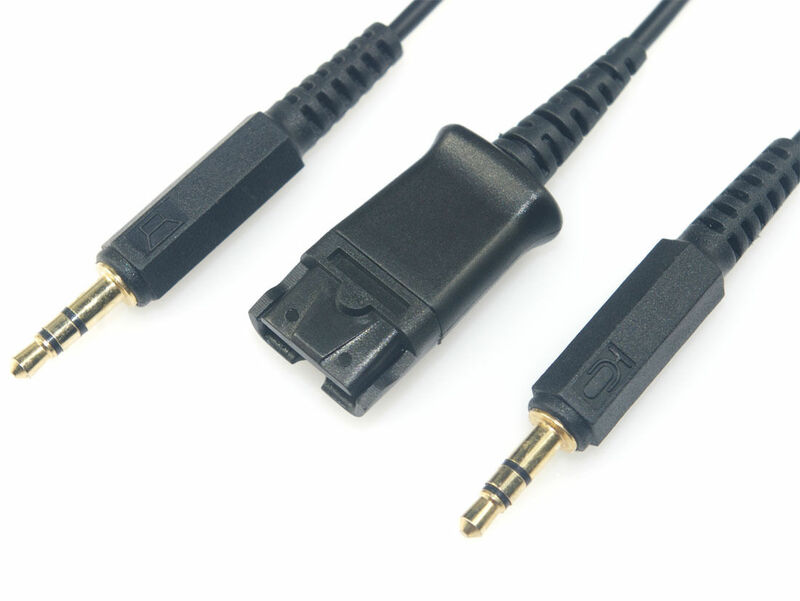 This connector allows both users to hear the caller and speak with the caller. 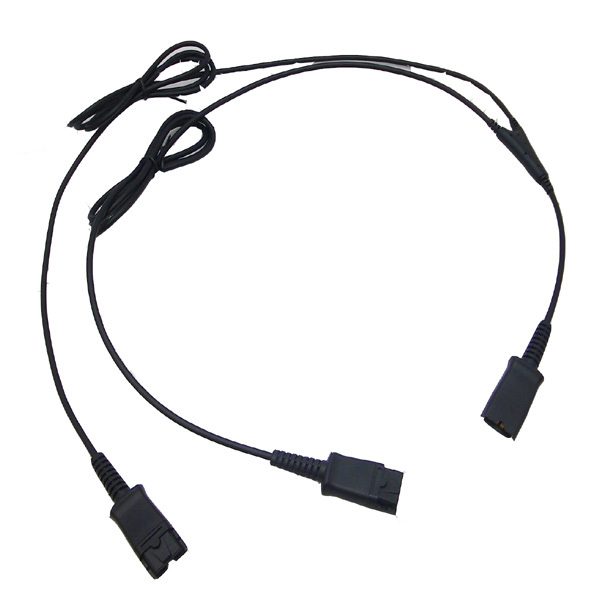 CB-PL01 is a brand new Plantronics headset QD to 3.5mm dual plus cable without mute key. 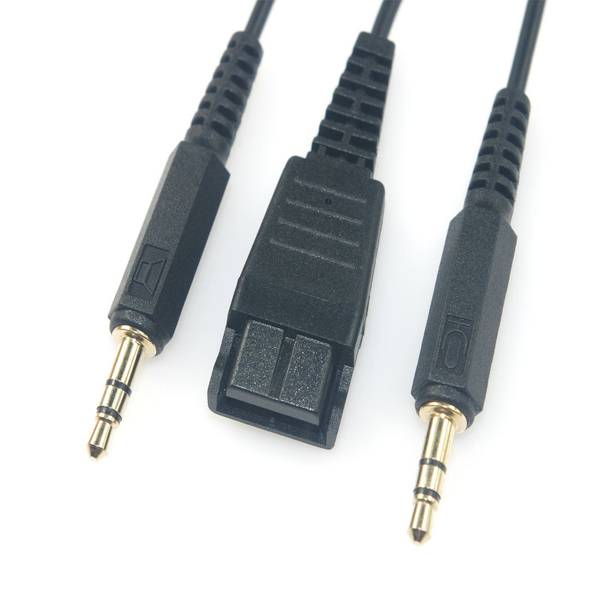 This cable makes it possible to connect the plantronics H &H series headsets to the sound card on the PC or MAC machine. Starset H31 H31N Mirage H41 H41N Supra H51 H51N H61 H61N TriStar H81 H81N Encore H91 H91N H101 H101N FreeHand H131N DuoSet H141 H141N DuoPro H151 H151N H161 H161N H171 H171N H181 H181N and SupraPlus H251 H251N H261 H261N and all HW-series Headsets etc. 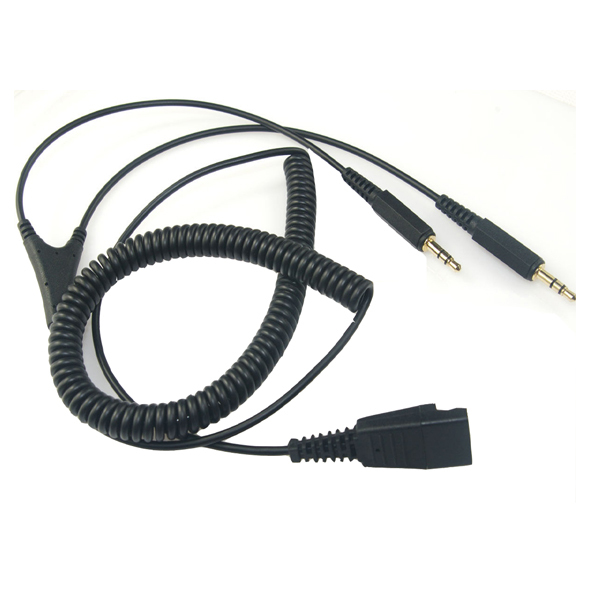 CB-JB02 is a brand new Jabra headset QD to 3.5mm dual plugs cord without mute key. 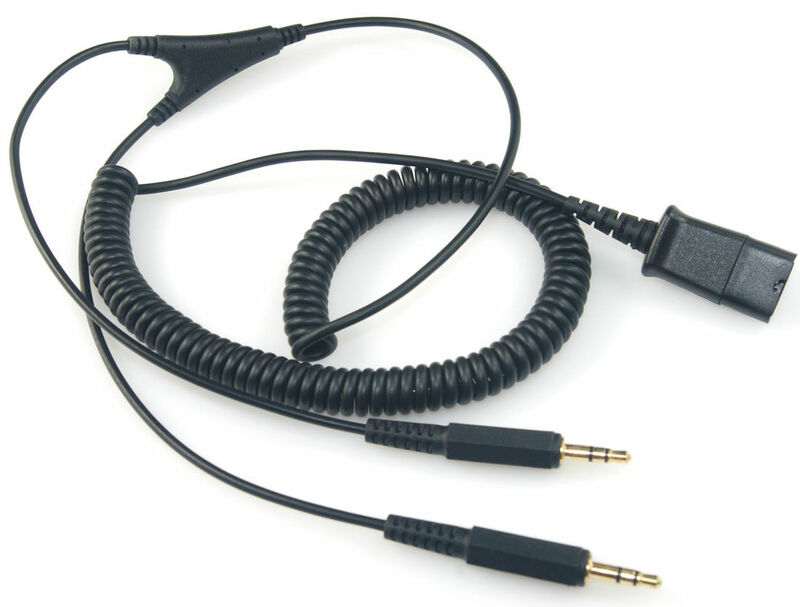 This cord makes it possible to connect the Jabra headsets to the sound card on the PC or MAC machine.